Our HP finance calculator figures are based on an 8.9% APR for used vehicles, but the actual rate varies on a daily basis. For any finance query or for PCP finance quotations, please request a callback or contact us today with your query. Finance is available on new and on used vehicles. Car finance doesn’t have to be complicated, and at Kevin O’Leary Group it isn’t. Our finance experts can advise you on the various finance options available to you, and help you select a finance arrangement best suited to your needs and your budget. We deal with all the main finance providers and will shop around to secure the best deal available for our customers. We complete and submit all required paperwork on your behalf and keep the process hassle free for you. We can get finance approval within 1 working hour. A PCP (Personal Contract Plan) is a type of hire purchase contract. Some customers like PCP as the deposit amount is flexible, monthly repayments are low and the customer has choices at the end of the repayment term. PCP is quick and easy to arrange. Guaranteed Minimum Future Value (GMFV) – a GMFV for your new car is determined - this is the final payment required for you to own your car at the end of the contract (GMFV is based on various factors, incl the length of the finance term, anticipated mileage and projected retail value). And here's the really clever bit! Your affordable monthly payments are then calculated on the difference between the deposit and the GMFV, plus interest. In a nutshell this means lower monthly repayments. 1. Hand the car back. 2. Keep the car and pay/finance the final balance, to own the car. PCP is suitable if you like the flexibility of options at the end of the agreement, lower monthly repayments suit you and You can confidently nominate your mileage. With a hire purchase contract you don’t own the car until you have made the final payment. With a hire purchase agreement payment is broken down into 2 parts, the deposit and the monthly payments. 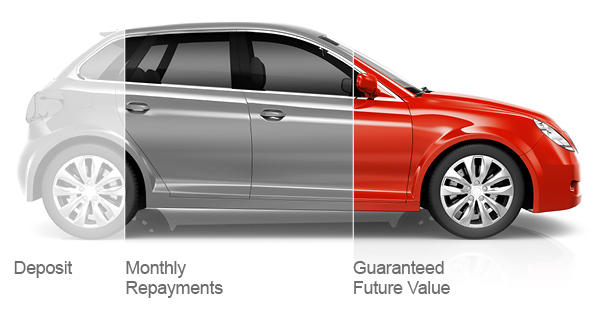 The monthly payments are calculated on the cost of the car less the deposit, plus interest. HP is suitable if eventual ownership is important to you and if your budget and circumstances suit fixed monthly payments. *Ask our finance experts for finance options available on specific models, terms and conditions apply to all finance options.